It’s almost time for Valentine’s Day school parties. Help your kids share friendship and love with friends using modern and fun cards from my Valentine’s Day Card Collection. Since you’ll be helping prepare Valentines for your kids, I’ve made it easy by offering all cards as either digital files or printed cards. Digital files are available immediately upon ordering, which is perfect when Valentine’s Day sneaks up on you and you needed cards yesterday. Printed cards ship directly to your mailbox and can be personalized, saving you time cutting each card out and having your child write their name on each one. 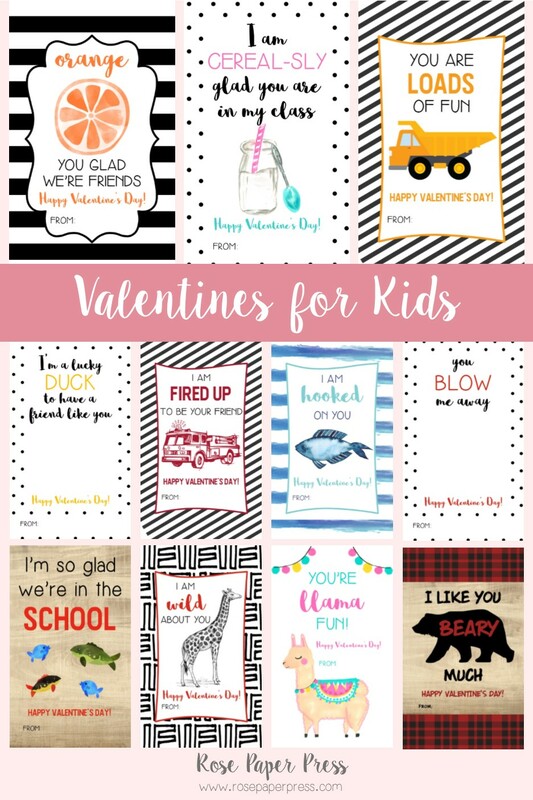 These are a few of my favorite cards from the Kids Valentines Card Collection, featuring zoo animals, llamas, transportation, fishing, fruit, woodland animals, sports, construction, cereal, and more. 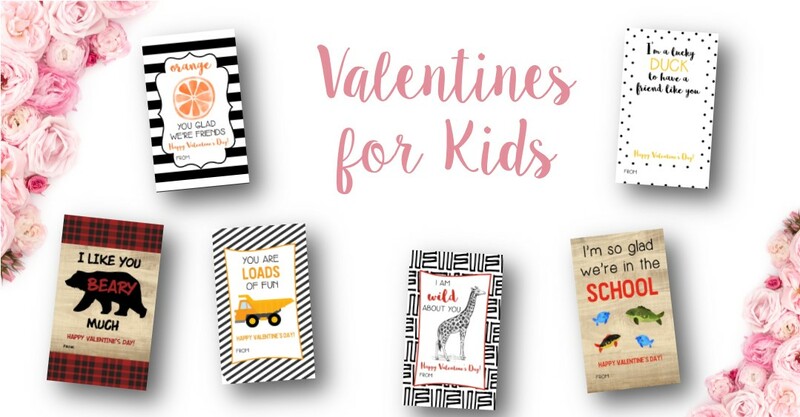 If you’re looking to include a treat with your Valentine’s Cards, check-out my blog posts on Non-Candy Valentines Cards or Sweets Valentines Treats. All of the cards in these collections can be paired with a snack, toy, or sweet treat for kids to enjoy. Join the VIP list! As an insider, you’ll receive exclusive offers, freebies, and be the first to know any new news.